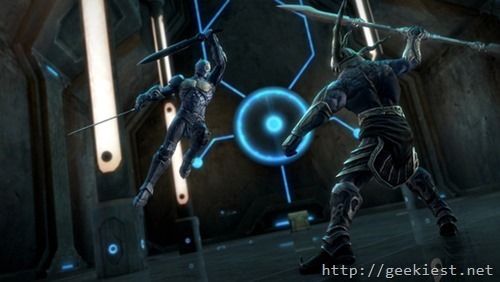 Infinity Blade is a very famous game from Chair Entertainment Group LLC. In this game your character has to battle monsters in one on one battles. When your character die you will have to start again but with all the improvements you have got. The game play is simple. you can dodge from the attack of the enemies and attack them using swipe. Earlier we have posted Famous iOS game Infinity Blade – FREE for a limited time and Infinity Blade II is free at the iTunes store for a limited time (normally $6.99) now it is turn of Infinity Blade III. You can get this game for Free for a limited time from the iTunes Store. 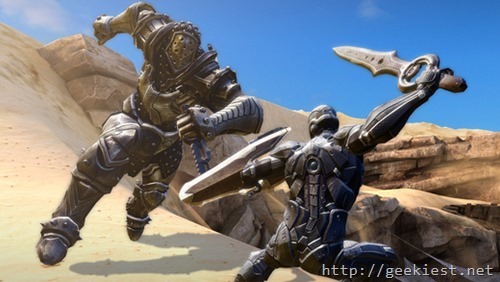 You can now download Infinity Blade III for iOS from App Store. Requires iOS 6.0 or later. Compatible with iPhone 4s, iPhone 5, iPhone 5c, iPhone 5s, iPhone 6, iPhone 6 Plus, iPhone 6s, iPhone 6s Plus, iPad, iPod touch (3rd generation), iPod touch (5th generation) and iPod touch (6th generation). Supports full iPhone 6 resolution, iPad Air 2, and iPad Mini 3 - and it looks amazing! Thank you Ashwin for the news. Grab the famous iOS game Infinity Blade for FREE, only this weekend.